Over the last few years, some Pantone colours from the Pantone Fashion Home + Interiors range have changed their descriptive name. 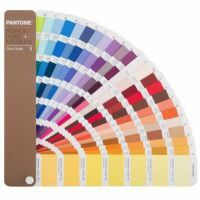 Whilst the colour's unique Pantone numbers has not changed, the name changes were made to better reflect the colours distinctive hue. Below you will find a list of all the Pantone colours affected by the name changes. The most recent changes are in bold and will be rolled out across the product range in the next few months.